I feel like a full-fledged grown up even typing that sentence. I’ve been adulating so hard lately. So, yeah… I’m gonna be a homeowner. Among the countless things that need to be considered when buying a home, one of my biggest concerns is safety & security. 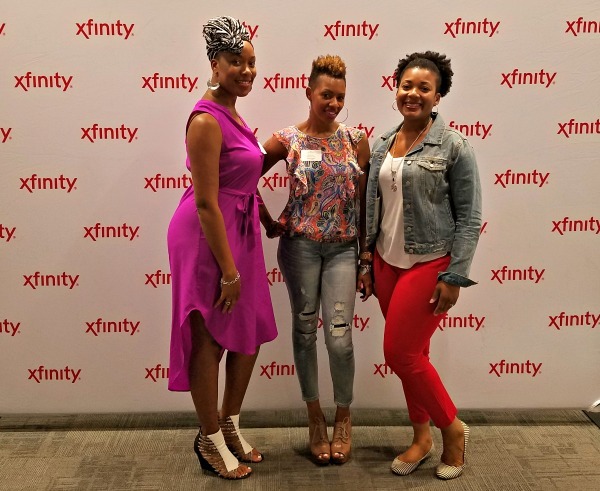 So I was jazzed when I found myself at the #XfinityMoms “Appy Hour” learning about some of the new hotness that the folks at Comcast have. XFINITY Home App: Let’s be real, we always have our phones. So the fact that XFINITY Home has an app makes life so much easier. Lights on, Light off: Speaking of the app, you can use it to remotely control your lights and thermostat to keep energy bills under control. Video Monitoring: We’re leaving a fairly small apartment where I can pretty much see my kids all the time (this is a gift and a curse) for 3 stories and waaay more opportunity for them to be left to their own devices. The ability to be able to press a button and see what they’re up to is a winner for me. Not only that, but I tend to be an anxious Annie so the ability to arm and monitor my system from outside the home is definitely a big draw for me. You can also get text and email alerts whenever doors or windows are opened. 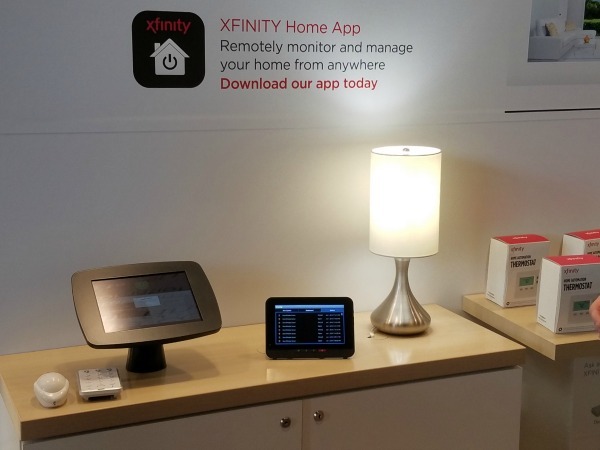 Works With: XFINITY home works with a growing list of smart devices for the home like August Smart locks and Nest® learning thermostats. Comcast also has some new and dope things happening on their X1 platform with voice remotes, a DVR that lets you record and watch up to 6 shows at a time and the ability to stream video live from your phone to your TV or a friend or family members TV. But I’ll worry about that later, right now I’m ready to get into this house and protect it. What say you? 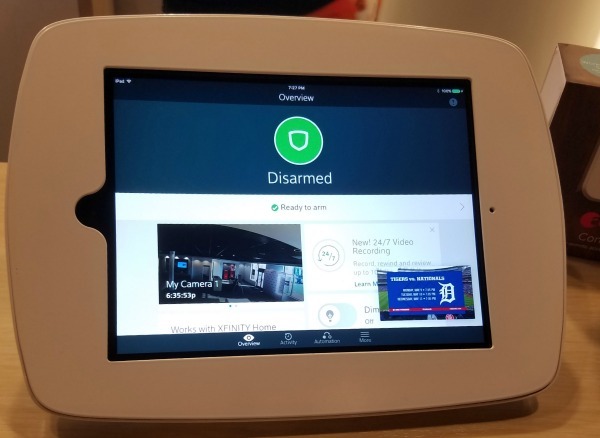 What’s the most important home security feature for you?